A man is being questioned by police following a double shooting in Bangor yesterday, which resulted in the death of one man. Police at the scene of a property on Hazelbrook Avenue, Bangor, Co Down after a man was shot in the chest in the seaside town in Northern Ireland. 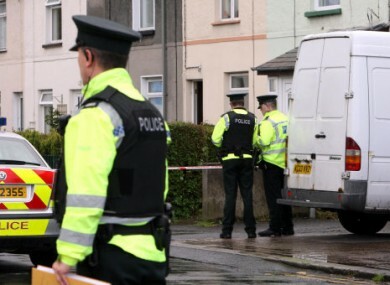 A MAN HAS been arrested in Belfast following a fatal shooting in Bangor, Co Down, yesterday. Two people sustained gunshot wounds during the incident yesterday. One of the victims, a man in his 50s, died of his injuries while another man was seriously wounded. Police believe that the incident, which occurred at around lunchtime in the Clandeboyne area, was linked to the drugs trade. Email “Man arrested in connection with Bangor shooting”. Feedback on “Man arrested in connection with Bangor shooting”.